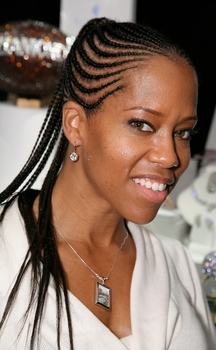 Regina King is pictured wearing a beautiful pair of 14k gold earrings called the Ziamond Manhattan Drops. Ziamond features the Manhattan Drops in a small version with 1.5 carat each bezel set rounds and in a large version with 2.5 carat each rounds. The Manhattan Drop Earrings feature shepherd hooks that slide through your ear for ease of use. Ziamond features the finest hand cut and hand polished cubic zirconia cz available in today's marketplace.